Happy New Year’s Eve Lovelies! We are gaga over this modern New Year’s tablescape we knew it would be perfect for today’s inspiration. 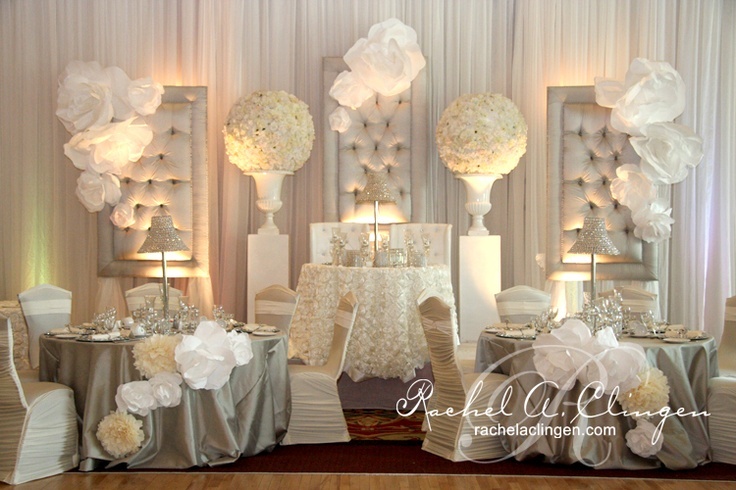 We love the tulle pom pom decorations hanging from the ceiling and the ones made up of shredded paper too! 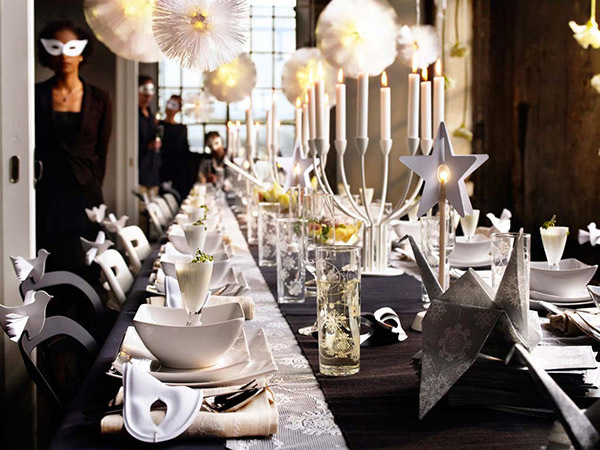 The modern candle holders are seriously fabulous and so are the lit stars going down the length of the table. The masks are a perfect way to celebrate the new year and we love that they are placed at each guest’s seat. The white birds on each chair are what really get us…they are amazing! The decorated glasses are wonderful too. They are perfect for bubbly, wine or whatever! The paper crane is one of or favorite details too!